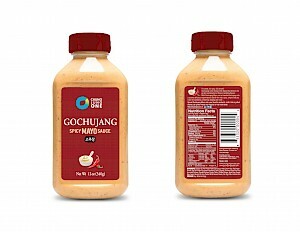 Just in time for the Olympics, this Korean gochujang chili sauce is delicious. Use it instead of mustard or mayo and you will not be disapointed as it really adds a lot of great flavor to otherwise boring foods like chicken and turkey. I would even use it as a dipping sauce for shrimp and mixed with vegetables. One tablespoon is 75 calories, 7 grams of fat (so use sparingly) 154 mg of sodium, 2 grams of carbs and 2 grams of sugars.